There were some great, low-production British marques of the 1950s and 1960s that had style and performance and perhaps none are better than the Gordon-Keeble. The car came together because of the design talents of John Gordon and Jim Keeble. 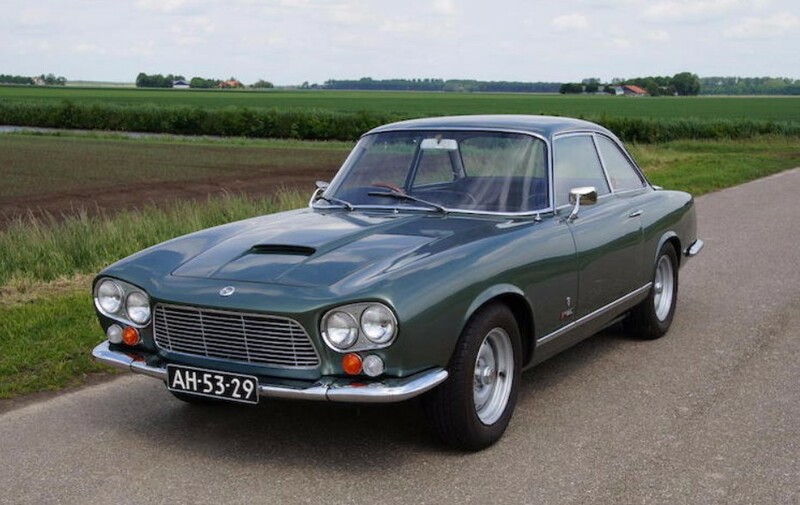 The steel body was designed by Bertone and it debuted in 1960 as the Gordon. Production started in 1964 and the coupe was powered by a 5.4-liter V-8 from a Corvette good for 300 horsepower. Top speed was 140 mph and it could hit 60 in six seconds. The price was a little steep and in 1965 the company was re-organized and the final car was built in 1966. Only 99 of these were built (until a 100th example was constructed in 1967 out of spare parts). They’re good-looking, powerful, fast cars. And their rarity is ensured forever. This example should bring between $92,000-$140,000. Click here for more info and here for more from this sale. This entry was posted in Uncategorized and tagged 1964, auctions, Bonhams, cars, classic cars, coupe, gordon-keeble, gt by classiccarweekly. Bookmark the permalink.